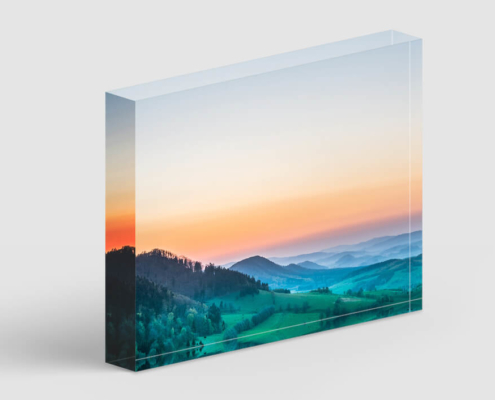 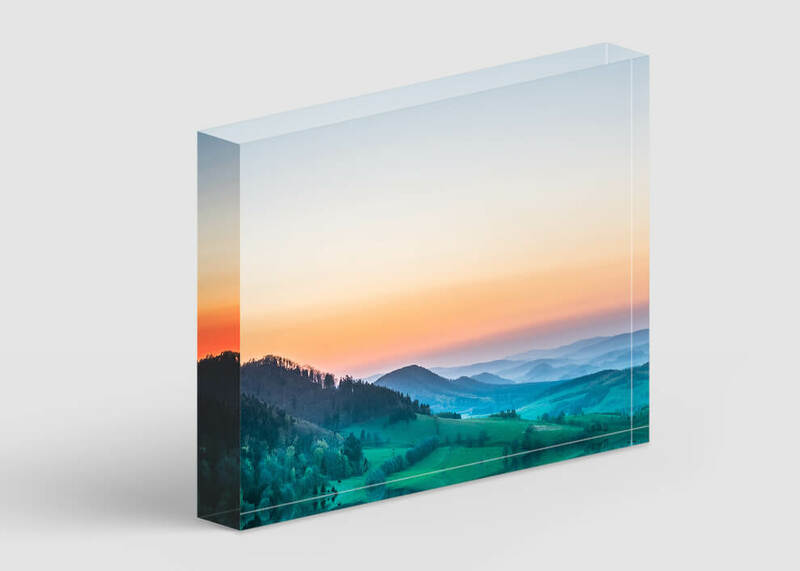 The crystal clear acrylic block provides superb-quality image reproduction. 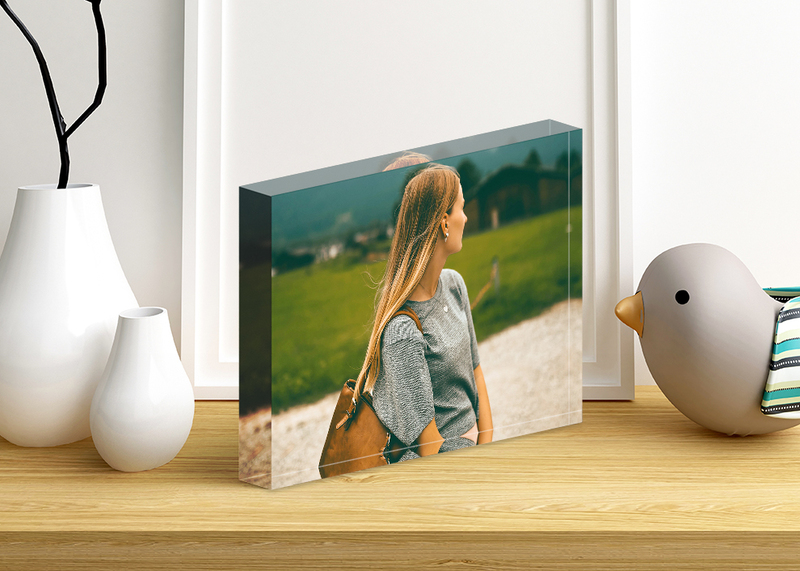 The crystal clear acrylic block provides superb-quality image reproduction. 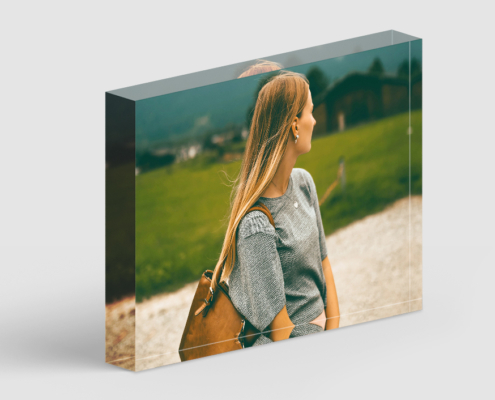 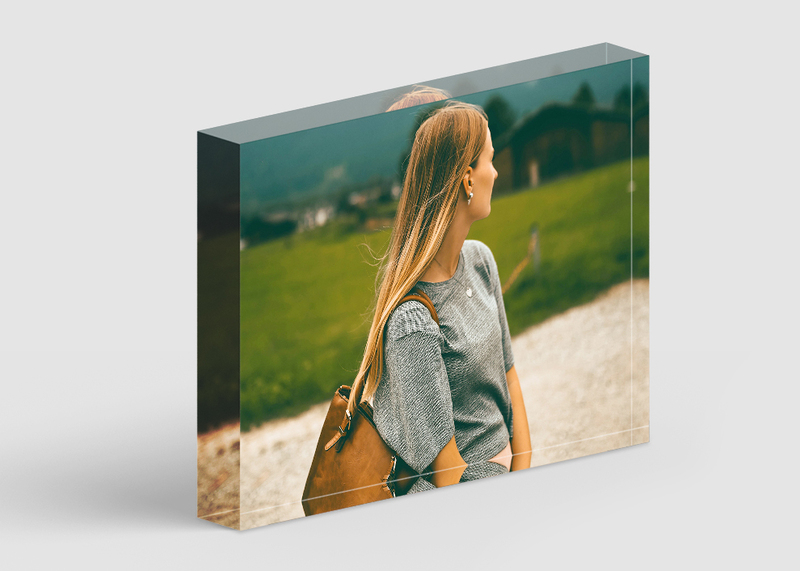 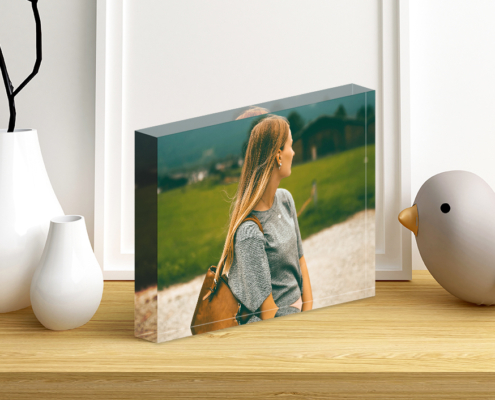 A true modern design piece, it creates reflections of your photo from all viewpoints.